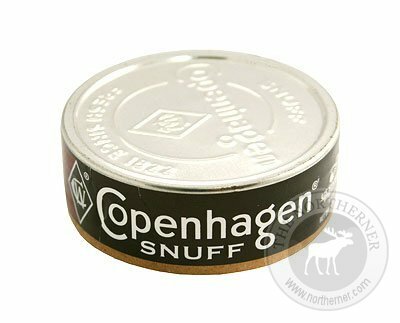 A classic variety of dipping tobacco, Copenhagen Fine Cut Snuff is a very finely ground dipping tobacco. With 4.98-7mg of nicotine per gram of dip, Copenhagen Fine Cut packs quite a punch! When I initially opened my can of Copenhagen Fine Cut, the first thing that I noticed was the aroma of sweet tobacco. The cut was extremely fine, and it reminded me of some varieties of loose snus. After taking a pinch of about one and a half grams, I placed the dip in my lower lip and waited for the flavor to become apparent. Fine cut is a classic tobacco flavored dip, and has quite a sweet tobacco taste. After about ten minutes I felt a strong nicotine buzz, and it was very pleasant. After about thirty minutes, the sweet tobacco taste became increasingly saltier, until I noticed a taste which consisted only of salt and tobacco. I left my dip in for fourty five minutes, and at that point it had become quite dry. Unlike Skoal Straight, Copenhagen Fine Cut produced significantly less amounts of drip, and I found myself spitting a lot less. The downside though was that because of the fine cut, it can be difficult to keep the dip in without losing bits and pieces. Even as an experienced dipper, I still found some small pieces got stuck in between my teeth. In summary, Copenhagen Fine Cut is a great dip for those who love the taste of tobacco. However it can be at times difficult to use because of how finely ground it is. I recommend Copenhagen Fine Cut to more experienced dippers who are looking for a great tobacco flavor as well as a good nicotine kick. 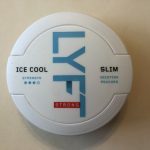 Aside from snus, I’ve been planning to do reviews of other tobacco products including American dipping tobacco, chew, nasal snuff, and e-cigarettes. Today I plan to review one of the most popular varieties of dipping tobacco, Skoal Straight Long Cut. A fun fact about Skoal dip is that its name is an Americanization of the Swedish word skål, which means cheers! As its name implies, Skoal Straight Long Cut is a long cut variety of dip, which makes it easier to keep in your mouth than finer cuts are. 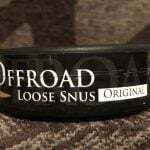 When I opened my can of Straight, I noticed a smell of sweet tobacco which was quite different from Swedish snus. Dip is placed is your lower lip, so I took a pinch about the size of a quarter and placed it in the middle of my lower lip. Within a minute or so, I was greeted with a very sweet tobacco flavor with a hint of spice which helped to prevent the sweetness from becoming too overpowering. Pretty soon the dip began creating quite a bit of juice, much more than when I tried out Copenhagen fine cut. A few minutes later, I spit some of the juice into my Mud Jug, which I highly recommend getting if you’re an avid dipper as it makes cleanup so much easier. After about five mintues I began to feel the onset of a pleasant nicotine buzz. Dip generally ranges from between 7mg-12mg of nicotine per gram, and I felt that Skoal Straight was towards the higher end of the scale. I kept my pinch in for about half an hour before I felt that the flavor was really beginning to subside. 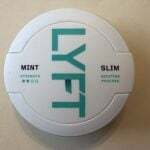 If you’re new to dip, be careful with this brand, as if you use to much you may experience some nausea which can be quite unpleasant. Begin with pinches a little larger than a dime, and gradually work your way up as you begin to learn how much dip at once suits your preferences. 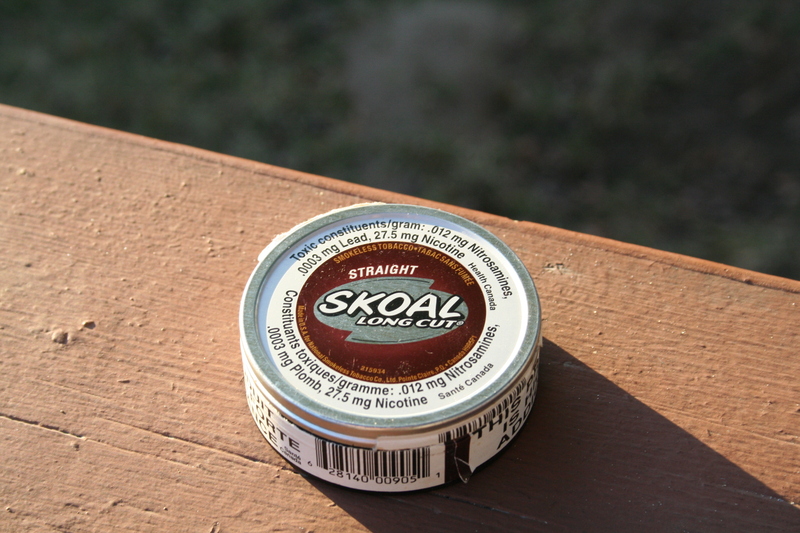 Skoal Straight Long Cut makes for a great everyday dip, and its sweet tobacco flavor pairs well with many different types of beer. If you’re looking for a dip with a strong nicotine kick which is easy to dip, I highly recommend giving Straight a try. Also, in case you’re wondering how dip compares to Swedish Snus, I’ll be writing a blog entry within the next few days which outlines some of the key differences between the two, so stay tuned!